The Stuffin' Cranberry sandwich at The Original Turkey in Reading Terminal Market. Just thinking about Thanksgiving food is enough to make anyone hungry. Then there are the leftovers, which defy the odds and taste just as good the next day. We all know that putting a sandwich made with turkey, stuffing and cranberry leftovers in the fridge at work can be risky, though. Just ask Ross from "Friends." He never got to eat his sandwich, and it was the only good thing going on in his life. This year, don't wait for the day after Thanksgiving to indulge in a Thanksgiving sandwich (and don't risk losing your lunch to a hungry fiend). 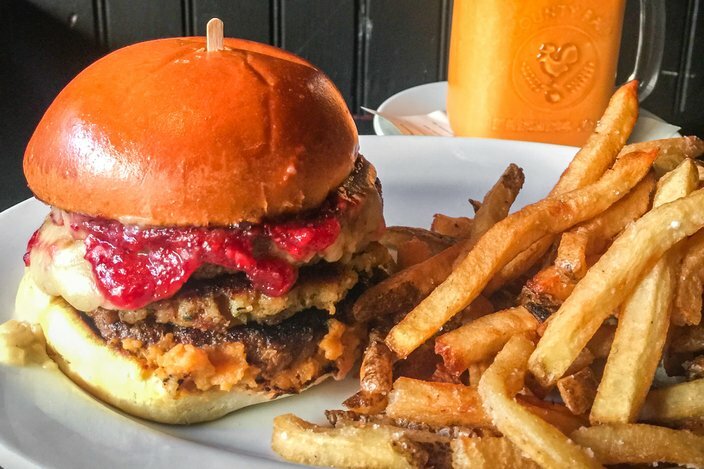 Instead, take advantage of these Philly restaurants' Thanksgiving sandwiches. If there's ever a time to eat too much turkey and stuffing, it's November. Here's an excuse to go to Reading Terminal Market. 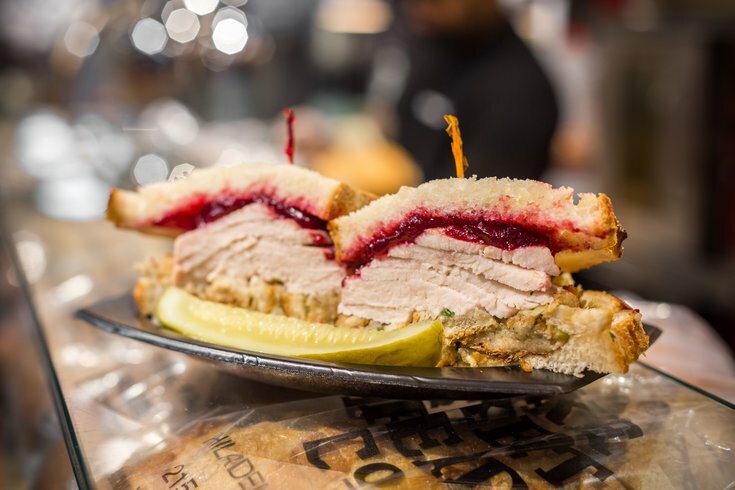 The sandwich, a Philly favorite, is made with turkey, homestyle stuffing and cranberry sauce. The Gobbler sandwich at Craftsman Row Saloon. This triple-decker sandwich is only available until Thanksgiving. It's made with two turkey patties, with a third patty made of homemade stuffing. On top are cranberry chutney, smashed yams and gravy. In case the sandwich isn't decadent enough, pair it with fries and the Drunken Pumpkin -- a boozy milkshake with vanilla ice cream, pumpkin pie filling and vodka. Sure, Nick's is known for its roast beef sandwiches but, in the spirit of Thanksgiving, switch things up next time you stop in. Opt for the sandwich made with house-baked turkey, stuffing, gravy and cranberry sauce. The Roasted Turkey Cranberry Flatbread at Panera. In a pinch, but still craving a full Thanksgiving meal? 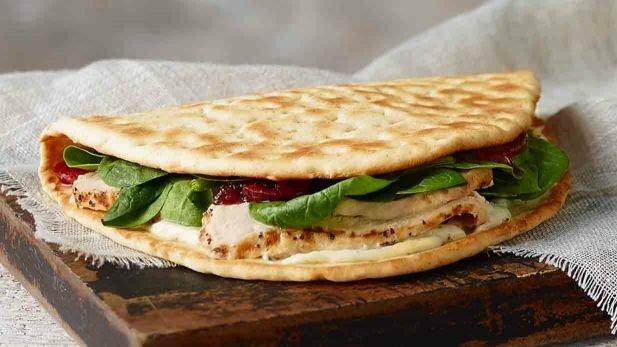 Panera offers a quick solution with its seasonal flatbread sandwich, which is easy to hold on-the-go. The sandwich includes roasted turkey (raised without antibiotics), cranberry mostarda, baby spinach and a garlic and herb cream cheese spread on a whole-grain flatbread. Multiple locations, including 48 N. 12th St.
McNally's is known for two sandwiches, and this is one of them. 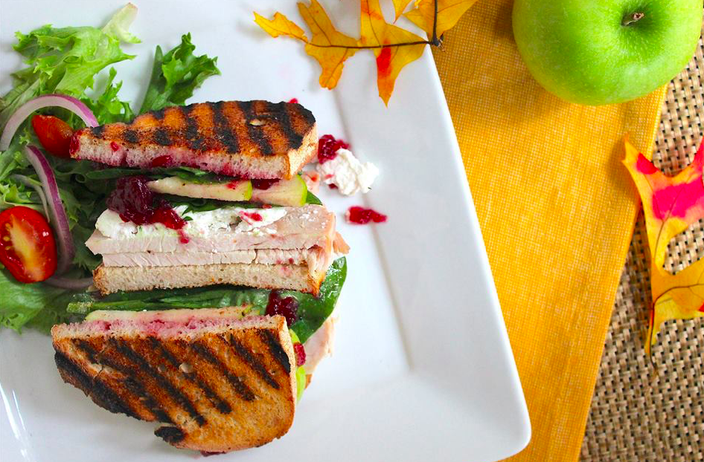 Head to Chestnut Hill for a sandwich made with fresh roasted turkey, stuffing and cranberry sauce. It can be served hot or cold on a choice of wheat, white, rye or Kaiser roll. 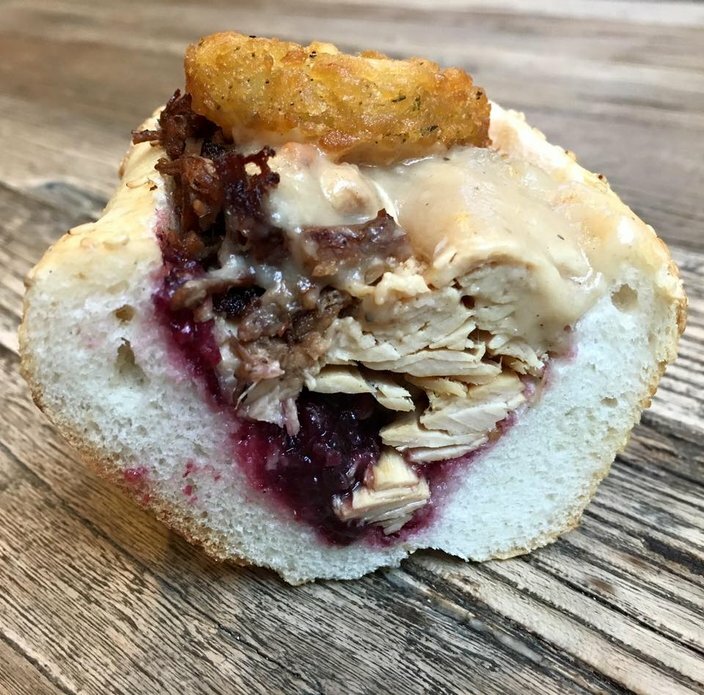 Many wait all year for Jake's to announce the Turducken is back. The seasonal sandwich is made with slow-roasted turkey, chicken, duck and sausage all on one sandwich. Another place that keeps it simple: turkey, homemade stuffing and cranberry sauce. Stop into the Center City restaurant/bar during happy hour and wash it all down with a beer. Monday through Friday the bar offers $1 off drafts and bottles from 5-7 p.m.
Fuel's Thanksgiving Panini and Pumpkin Pie Smoothie are only available for a limited time. Fuel offers a healthier lunch option, with many items on the menu under 500 calories. Depending on how you want the seasonal Thanksgiving sandwich made, it's between 377-577 calories. Bite into roasted turkey, Fuel's orange cranberry sauce, sliced apples, goat cheese and fresh spinach without any guilt. Multiple locations, including 1225 Walnut St. It's back! The sandwich will be available at the Rittenhouse, Comcast, Franklin and Ardmore Di Bruno Bros. stores for a limited time. Don't miss your chance to eat pulled turkey, Schnebelhorn cheese, stuffing, bacon Brussels sprout slaw, maple yam spread and cranberry relish, all on a kale focaccia roll. Technically not a sandwich, but it still deserves a spot on this roundup. The appetizer is made by wrapping turkey in mashed potatoes and stuffing, then breading and frying it. It's served with gravy and cranberry sauce. Of course, there's always Wawa's Hot Turkey Gobbler to fall back on if all else fails.